What are bidi cigarettes, and are they a safe smoking alternative to traditional manufactured cigarettes with tobacco? 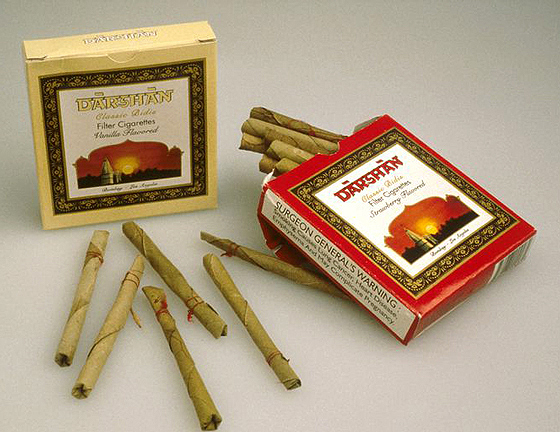 Bidis (pronounced bee-dees and also known as beedis) are small hand-rolled cigarettes made of tobacco and wrapped in tendu or temburni leaf (plants that are native to Asia -- Diospyros melanxylon). They are manufactured in India and other southeast Asian countries and exported to more than 100 countries.